Being in Norfolk surrounded by our beautiful coastline, it’s inevitable that stylists and interior designers are inspired by the sea. 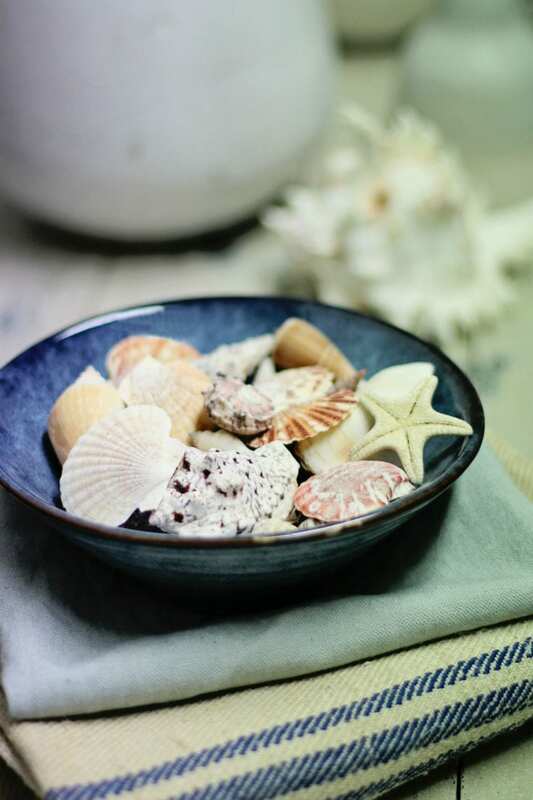 Regardless of whether one lives close to the coast or not, bringing a touch of the seaside to your home is a such classic, timeless way of decorating. When it comes to colours, think of pale blues and seagrass greens, with flashes of turquoise. Lots of white brings an airy feel to a room, and bleached, whitewashed woods and linens add texture. 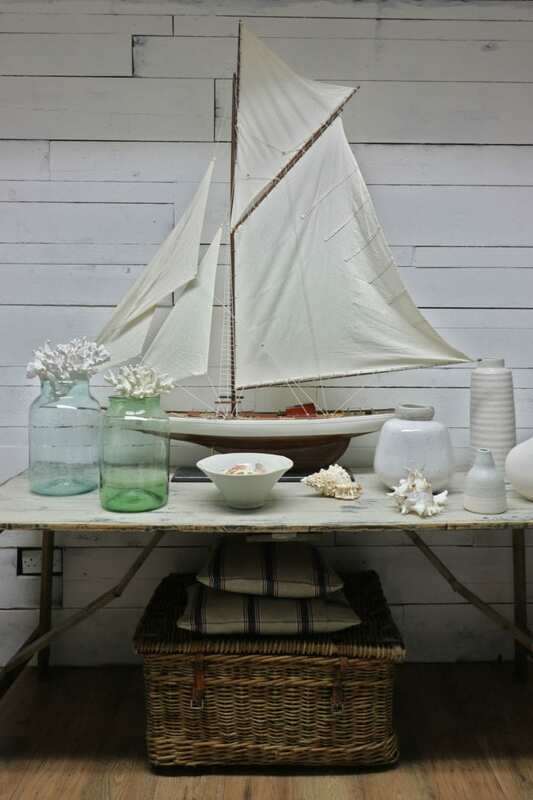 I felt like a child in a sweet shop when I walked into Collette’s studio to style this shoot, as I love anything with a coastal feel. I decided to take a little bit of inspiration not only from our own North Norfolk coastline, but also from the style of the bright, airy houses in New England and The Hamptons. I of course love vintage touches, so beautiful old maps make a beautiful addition, especially when framed and displayed as Collette has done with this map of Blakeney. Vintage binoculars, books and cameras are perfect for making quirky little vignettes. 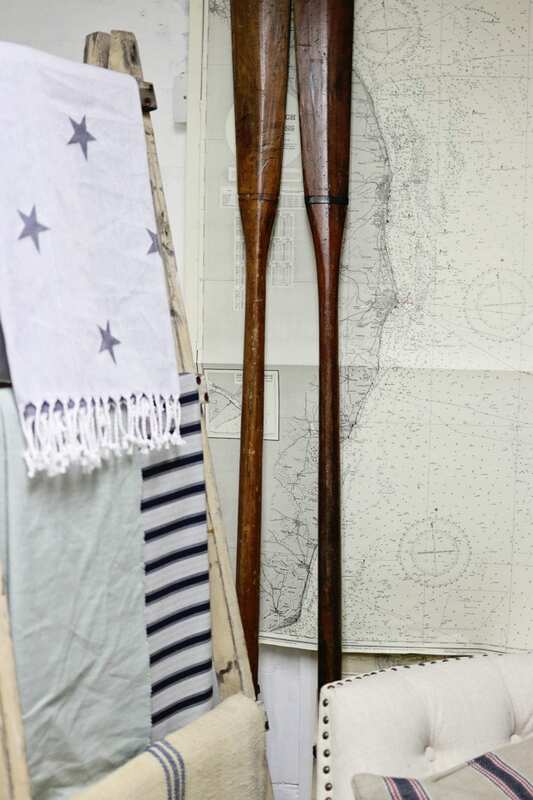 Fabrics with ticking stripes, or even stars are perfect for adding that seaside vibe. Why not display them on a rustic ladder as we have done here, alongside some antique oars for a really statement display! Glassware displayed en masse in shades of green is a favourite way to add focal interest to a room. Fill with shells and seagrass collected on wanders on the beach, or do as I have done here, and balance beautiful pieces of coral on the top of your jars for a contemporary feel. Painted furniture pieces with a white washed or distressed finish look so gorgeous against fresh whites or pale blues. Don’t be afraid of choosing pieces that have a timeworn feel to them, they will only add to the authenticity of your coastal style home!